APA Handbook of Sexuality and Psychology provides an overarching review of current empirical research on sexuality and a synthesis of the dominant theoretical perspectives that have guided both research and clinical practice. The handbook presents foundational information on the history, theoretical and methodological development and current practices in the field, and addresses foundational aspects of sexuality. For more information or to request a free 30-day trial on APA PsycNET, click here. Next year is the centennial of the beginning of World War I. It was July 1914 when what was then called the Great War (no one really believed there would be a second world war) began. Although there's no dearth of books and articles on the subject, what's been missing is the ordinary soldier's perspective. With the digitization of 1,500 trench journals and unit magazines, ProQuest is filling this gap by providing access to unique primary sources. Springer Science+Business Media will publish new South Korean content in partnership with the Korea Nano Technology Research Society (KoNTRS) and KAIST (Korea Advanced Institute of Science and Technology) Press. KoNTRS will work with Springer to publish a peer-reviewed, open access (OA) journal titled Nano Convergence. This international, interdisciplinary journal will debut in January 2014 and provide all of its research results for free online. Digital Scholarship released the Altmetrics Bibliography on its website to serve as a resource for understanding altmetrics. The bibliography is a listing of more than 50 English-language articles and technical reports that explore topics such as the impact of scientists' personal webpages, journal evaluation using social bookmarking data, and the difference between bibliographic and web citations. A draft of "Open Discovery Initiative: Promoting Transparency in Discovery" is open for public comment until Nov. 18, 2013. 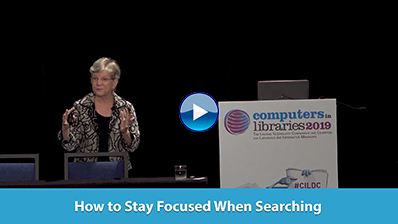 This recommended practice from the National Information Standards Organization (NISO) provides guidelines for content providers and discovery service creators on how to address issues that arise in the use of indexed search as part of library discovery services.